These other systems are offered by iCOAT. These systems are available upon request. Please allow about 1 week lead time to get these products in our shop. 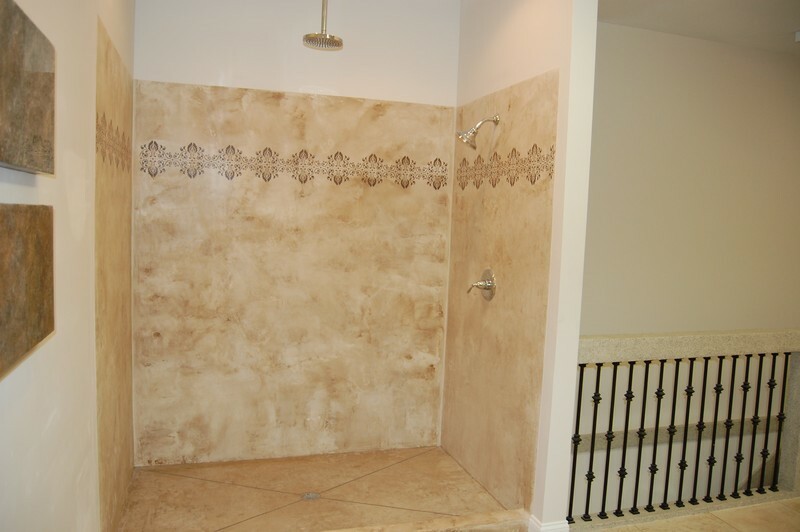 iCOAT Products have been used successfully to build custom showers for years. The iCOAT Wall products can be used to resurface over an outdated tile shower or can be used for constructing a new shower. iCOAT Products give you the ability to design and build a shower unfettered by size, color or texture restrictions. iCOAT Products can be used to create myriad shower designs. iCOAT Premium Wall Finish System and its products are the newest iCOAT System. A revolutionary new product that can be applied over almost any surface due to the advanced adhesion characteristics. The iCOAT Premium Wall Finish has been formulated to provide lengthy open time so that Glazes and Colors can easily achieve amazing results. This product is far less expensive than Venetian Plaster and can achieve the same or better looks. iCOAT Premium Wall Finish is an add water only concrete mix that yields high strength at a very thin application.